Go Vintage! 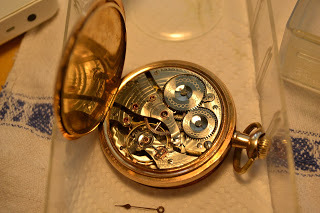 Learn to Repair and Restore Mechanical Pocket and Wrist Watches. Until recently, watches have been entirely mechanical where each wheel, gear, and mechanism representing a milestone in our understanding of precision manufacturing and timekeeping. One of the very first watches, created by a locksmith. Today it is nearly impossible to find watchmakers to service or repair vintage mechanical pocket and wristwatches, so we have to do it ourselves. Learn to repair vintage mechanical watches. You can do this and we’ll show you how. They tick, mechanical watches have a pulse. First created in the 16th century by locksmiths, these early watches could only resolve time down to the hour and for this reason displayed time with only one hour hand. By the 18th century fusee technology enabled watches to achieve accuracies to within seconds. Fusee wheel and chain, which is in effect a continuously variable transmission to provide constant torque as spring barrel unwinds. The Waltham Watch Co. was the first to democratize portable time keeping by developing a process to mass produce high quality watches that were extremely accurate. Prices were equivalent to a MacBook or an iPad in today’s money. The American watch industry led the way in developing a world-class product that with a little maintenance, could last forever. But ladies’ watches were pushing the bounds of what was possible, at the cutting edge of small. Ladies’ watches led to the development of the (smaller than a pocket watch) wrist watches. 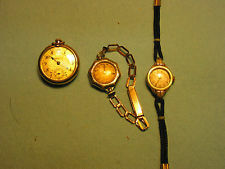 Evolution of the ladies pocket watch to wrist watch. 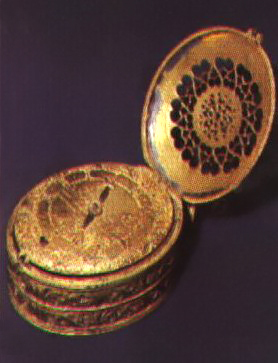 Manufacturing techniques were pushed to their limits in making small watches. Widespread adaptation of wrist watches occurred in the 1930’s. Although less accurate than pocket watches, wrist watches were significantly more convenient. The swiss lead the way in post-war wrist watch technology. You must be able to clean and repair your own watch if you want to go vintage. Watchmakers are a dying breed, if you can find one expect to pay $200-$400 to get your watch repaired. Besides, most of the fun is being able to wear something you repaired yourself. Pop your watch open at parties and explain how it works to your friends. There is no such thing as ‘over wound,’ what actually happens is dirt and grime builds up on the bearings so that wheels (gears actually, the gears are referred to as wheels) can not turn as freely, preventing the movement from running. 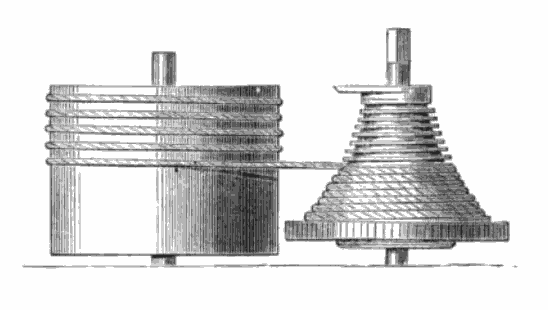 The movement is geared up significantly from the winding spring (spring barrel) where one turn of the spring barrel causes hundreds of turns of the second hand. Unfortunately with such gearing there is very little torque at the second hand. For this reason the slightest bit of dirt and grime in the bearings throughout the gear train causes a movement to stop running. Most of the time when you buy a broken mechanical watch all it needs is to be cleaned and oiled. But this is not as easy as it seems, you must completely tear down your watch movement, clean each little part, reassemble and oil it. To learn watch repair read the manual, US ARMY TM9-1575 (PDF). In World War II numerous manuals like this were written to train any 18-year-old to learn advanced skills in a short period of time. To make it run again you will have to completely take it apart, clean its mechanical parts and plates in an ultrasonic cleaner, and oil as you put it back together following the procedure in TM9-1575. Waltham Riverside pocket watch after cleaning and oiling. Elgin Mens wristwatch drying after cleaning, all parts shown disassembled. Elgin men’s wrist watch during disassembly. For videos of watch repairs and cleanings of all types of pocket and wrist watches, check out this YouTube channel on watch repair. Get a set of jeweler’s screwdrivers; good ones from the US, Swiss, or French made, not Chinese made ones. Screws in vintage watches are tougher than the screw driver tips, cheap screwdrivers will disintegrate quickly. Other small tools you probably already have. You can buy vintage watches at antique shops or on ebay, they are not too expensive. Expect to pay $50-100 for a serviceable American men’s pocket watch (Waltham, Elgin) and slightly more for a high end American pocket watch (Hamilton, Hampton, Illinois). $10-100 for a vintage wrist watch, depending on style and condition. Key issue you must look for is a good balance staff. One way to test for this is to take a toothpick and touch the balance wheel and observe if it moves freely, if so then you should be able to service the watch. Also, if the watch runs somewhat and stops it likely has a good balance staff. Need help or want to learn more, take classes, and goto meet-ups? Join the NAWCC and seek answers to your questions on their forums. Do not restore a watch that has a great deal of meaning to you. Expect to damage or permanently break your first one or two pocket watches and about half of your first wristwatches. Even as you get better at this I would not recommend cleaning a high-end Chrono. If you can’t live with yourself if you break or damage it then don’t restore it yourself, have a pro do it. Unfortunately watch repair shops are few and far between these days and most can not handle the complexity of a vintage mechanical movement. The best one I’ve worked with is just north of Detroit, J&W Watch and Clock Repair. These guys are so old school they do not even have a website, so you’ll have to call them up and mail it in. Watch repair is a fascinating hobby, one of the few that is actually worth doing yourself. There is nothing more satisfying than taking apart a dead movement, making repairs and cleaning, then seeing it run again. Express yourself, wear vintage, make a connection with history and always have a story at the next social gathering explaining how these little machines work. Gregory L. Charvat, Ph.D is author of Small and Short-Range Radar Systems, visiting research scientist at Camera Culture Group Massachusetts Institute of Technology Media Lab, co-founder of Hyperfine Research Inc. and Butterfly Network Inc., editor of the Gregory L. Charvat Series on Practical Approaches to Electrical Engineering, and guest commentator on CNN, CBS, Sky News, and others. He was a technical staff member at MIT Lincoln Laboratory from September 2007 to November 2011, where his work on through-wall radar won best paper at the 2010 MSS Tri-Services Radar Symposium and is an MIT Office of the Provost 2011 research highlight. He has taught short radar courses at MIT, where his Build a Small Radar course was the top-ranked MIT professional education course in 2011 and has become widely adopted by other universities, laboratories, and private organizations. Starting at an Early Age, Greg developed numerous radar systems,rail SAR imaging sensors, phased array radar systems; holds several patents; and has developed many other sensors and radio and audio equipment. He has authored numerous publications and received a great deal of press for his work. 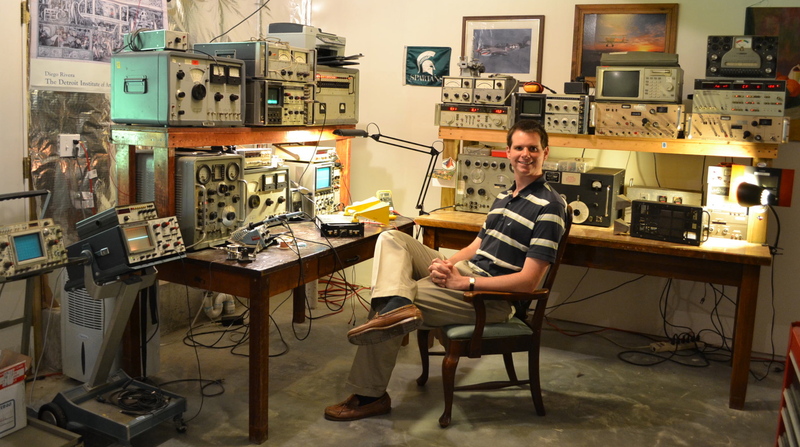 Greg earned a Ph.D in electrical engineering in 2007, MSEE in 2003, and BSEE in 2002 from Michigan State University, and is a senior member of the IEEE, where he served on the steering committee for the 2010, 2013, and 2016 IEEE International Symposium on Phased Array Systems and Technology and chaired the IEEE Antennas and Propagation Society Boston Chapter from 2010-2011. Mechanical watches are lame, the same thing can be done with a basic ATtiny chip or Arduino. Really? Mechanical watches work without electricity, hows that work with your Arduino? Lame??? an escapement repeats the same action over and over again with incredible precision. You can detect earthquakes on the other side of the world (Riefler Clock 1964 detects the Anchorage earthquake near Minuch), a 9 sqare-feet concrete column gets in motion with clocks on both sides, synchronizing them… The Bond clock is measured to a precision of 1s in 12 years…? To me, this is fantastic! A watch beeing in motion throughout a day and showing precise time! Ingenious! Why do we still develop watches and clocks: because we can, for the mere spirit and fun! Examening a Peter Hehenlein watch (1520?) IS exciting, not only for the technology, the workmanship but also for the pure existance of it. I think nobody will check an Attiny in 500 years. Despite the fact: an Attiny will not produce the same precision in rate that a watch does. A little bit more respect please! An attiny is WAY more accurate than almost any mechanical clock in existence. And a $2 watch will outperform a Rolex. Which upsets Rolex owners for some reason. Used rubidium standards go for surprisingly cheap online. Or just use GPS and/or NTP and sync your watch to it. How about my Patek Phillipe? If you own a Patek Philippe, it doesn’t matter how inaccurate it is, no one will tell you that you are late… They’ll all be too busy sucking up to you or in awe of your monetary worth to notice. A $2 watch might keep time as well as a Rolex, but a Rolex looks better, is more durable, and has a higher build quality. They also have many features you won’t find on a cheap watch like waterproofing, magnetic shielding, and a perpetual winding mechanism. Never met.a Rolex owner who was in anyway up set by this…. If I look at the internal clock of an Attiny(85) I read 1,2% for +/- 10 Kelvin. How can I achieve a sufficient precise rate with this device? Using a RTC or an external clock changes things. The above calculus let me to the statement about Attiny precision. Knowing that there is no “real” meaning in mechanical clocks/watches it find it still fascinating, how it evolved since the 13th century (verge escapment) to the first pendulum clocks (Gallileo, Huygens), and so forth until the swiss lever dominated. Fortunately the mechanical watch/clock was not killed by the quarz, so we still have the pleasure to use them and make new inventions on this field. An ATTiny *by itself* is not very accurate at all. Been there, done that. Read some of the project logs of my Hackaday Crazy Clock or GPSDO projects. You CAN make an ATTiny very accurate, but make no mistake: timekeeping tolerance levels are not *trivial* to achieve with crystal oscillators and microcontrollers. It’s not just buying a 10ppm tolerance crystal. All that tolerance means is that if you buy 1000 of them, they’re all within 10 ppm *of each other*, given identical loading. Getting them to be within 10 ppm of UTC (yes, time != frequency. You know what I mean) is the tricky part. A digital watch doesn’t have personality, or a heartbeat, or whirring and ticking like a mechanical watch does. Don’t diss the classics. To continue with another metafore, an arduino might be more accurate than a mechanical watch, but a photograph is probably more accurate than a Rembrant… Which would you rather have? An Arduino probably isn’t very accurate, actually. Crystal oscillators are *stable*, but that’s not at all the same thing. Always wanted to do this! Thanks for compiling all the info. I have a 24-hour mechanical wind-up pocket watch that uses the vintage jeweled design, but with all new parts. Now I have an excuse to pick up one next time I go to an antique market. I wonder if this same design is upscaled when dealing with larger vintage wind clocks. Hi CJ, clocks are alot different. I’ve found watches to be much easier to work with. Clocks are under significantly more torque from the mainspring. But, just like watches a clock simply needs to be taken apart, cleaned, and oiled. Sometimes the bushings need to be replaced, this is rather involved. Be careful when bringing down the mainspring on a clock, it is very dangerous, suggest you put it in a drill chuck and dump the energy into the drill. I have an old building temperature plotter that I rescued several years ago that had a rudimentary clock mechanism that had to be re-worked. It is indeed difficult to find anyone to work on or help ya work on timepiece mechanics. I had the best luck at a local vacuum repair shop, where the nice gentleman helped me get things SAFELY unseized and slowly plotting again. The thing had a large tension spring that would have leapt out of the back to slice me. Not so much a problem with smaller watches maybe, but something to look out for on their larger brethren. IIRC it ran for at least 6 months on a wind up and I had made some new circular graph paper for it but never really used it. That paper can still be purchased. I have seen it used on heat treating ovens. I guess when something costs a huge amount of money and has worked every day since the ’40’s, people tend to keep them around. Not unlike mechanical timepieces. Chart recorders are still made today (of course they run off electric movements, not mechanical) so the paper is widely available. The mainspring in a Victrola is another one to treat with respect. I was lucky enough to have a disk of paper on the unit that I basically scanned, erased the little ink trail and printed. I hadn’t actually looked for the paper but maybe will order some when I mount it. Any idea on the little inky tip? I was just going to try some pen tips and such but you may have an idea with more experience- I would love a shortcut haha. I haven’t worked on a Victrola yet, so that will definitely be something to look out for. I will treat it with respect ;) I nearly sliced myself just messing around with the coil in the plotter. All rusty and thirsty, it were. I can only guess it has vorpal capabilities flying out with force haha. Thanks for the linky :) I have to replace the glass in the bezel as the glue strip is its age but should hit that up after it is in. I lucked out that the hammertone was intact. Love the drill chuck energy drain idea! I owe you a beverage of your choice. The mainspring on a watch is located inside the spring barrel. You must remove it to clean the watch, but fortunately it is not as dangerous as the mainspring on a clock (see my reply above, clock mainsprings are very dangerous). In fact watch mainsprings are more or less harmless. Only issue is to make sure when you remove the mainspring from the barrel you do not fling the winding arbor or the spring barrel across the room in different directions. You’ll probably never find the parts again if this happens. To mitigate this, place a towel over the spring barrel then pull it out with nettle nose pliers, the towel will catch the little parts as it flings apart. The proper way to let down a watch mainspring is to slightly twist the crown until the click is pushed away from the ratchet wheel, then use a tweezer or screwdriver tip to hold the click away from the ratchet wheel. You can then just allow the crown of the watch to slowly slip between your fingers until all the mainspring’s energy is gone. Then you can let go of the click and remove the stem/crown from the movement and continue disassembly with no energy left to fling parts across the room (though there are a few tiny springs in the watch, such as the click spring or the spring for the calendar and day wheels — if the watch has those features — that are nothing more than hairpin-shaped bent pieces of spring steel). There are all sorts of little things you can learn about servicing a watch that will make things a lot easier, but most of them tend to be lessons of experience rather than things you can easily find and read about on the web. That’s why the author suggests spending your time working on watches that have no sentimental value to you, and that are not very expensive. Chances are that you will lose a few parts or bend a few pivots before you truly become comfortable working inside of a watch. If you do loose parts on the floor get a big magnet to sweep the carpet around your watch repair area, sometimes you will get them back… Be sure to demagnetize afterwards. Use a tooth pick as your second hand or tool for everything. Have there been any DIY ultrasonic cleaners? I’ve crawled through the archive here (and have been a long time reader anyways) and while there is occasional coverage of “how to drive ultrasonic transducers” and and the like; there haven’t been any talking about what frequencies are needed for cleaners. So what about other horologists and jewelers? What frequency(ies) should a maker be looking for? I know those misters have powerful drivers (wrong frequencies of course, but I’ve caught some stray shocks when metering them), but are they powerful enough to feed a good cleaning kit (assuming the frequencies are changed)? And if anyone has built one, any tips? Choice transducers or power supplies, or maybe a whole instruction set? Google would be better to ask than the comments section of hackaday. I have looked there. Most are hand sanders attached to plastic jars and are shaker cleaners, not ultrasonic. One instructable article looks like a good start, but doesn’t appear to have any schematics available and doesn’t consider transducer wear or isolation of the cleaning pot from the tabletop; which would reduce the energy transfer from the power source to the object being cleaned. Another use a computer soundcard to output a 44kHz wave form (from a 44kHz card…Nyquist is crying somewhere) and used that to drive an amp and transducer. A better idea, but still . . .
And there there were lots of blog and forum posts talking about how those are not great ideas(“I can’t see the sander approach working as well as a commercial unit. Commercial units typically work at 38KHz”) and “does anyone have any experience building one” (kinda like this post?). If you got different results (google does customize results, ya know) then feel free to point me to an actual build. But don’t assume that just because I mentioned searching the archive here that I didn’t search the obvious archive of the google. I just didn’t find the results I was looking for; though if it was google’s problem or me just overlooking the obvious remains to be seen. Great post! I carry a 1904 Elgin 17j pocket watch most days, and also have a beautifully faced 1928 Illinois 17j for a back up. Regulating takes some patience, but the craftspersonship and precision of fine timepieces of the early 20th Century rival the prized and expensive handmade watches of today, IMO. That’s a great lineup! If they’re within 5m a day i’m happy. According to the technical manual we should be able to get a pocket watch to within 2-3m a day and a wrist watch to 5m. But you can probably dial in that Illinois to a min or less. I have a Hampton 17J S16 build around 1920, it tracks my Tag Heuer well. My 1904 runs about 30s-1m fast per day, give or take, depending on how much the spring winds down. Keeping it fully wound it keeps very tight time I find.. Paid $700 to get a watch repaired and restored, but at least half of that was for a new glass. Could have got an acrylic one for $50, but wanted authentic. Guy did a good job of repairing some dents too. Total clock nerd. Thanks for the tip! It’s tough to find these places. Recently, I was given a 100yo Waltham that belonged to my mother in law’s grandfather. It runs–barely. He was a jeweller and beautifully engraved it (by hand) with his initials in a script so ornate that you can barely tell what the letters are. I’ve found a local shop that can do the repair but I can’t really afford it. I would LOVE to be able to disassemble and clean this by myself, but that last paragraph has me spooked now. On the other hand, I see similar watches (brand and condition) all the time on eBay for about $50. I’m SO tempted. . . Try J&R, who knows maybe they are less expensive. Also you could work your way up to it. Buy a few old Walthams from ebay that are similar in size and movement type. If you can successfully restore all of them then you might be ready to take on the important one. Also, American watches were mass produced so you can buy old movements on ebay and swap out the parts easily, i’ve had to do this before. In fact, there are more movements available than watches because gold & silver shops just punch-out the movements and melt down the gold of the watch case. Most pocket watches that are left these days are gold filled, which is a thicker version of gold plating or they are silver alloy of some kind. I found this article interesting, if historically inaccurate. The history of timekeeping is patchy with contributions from China, Egypt, Greece and Italy early on, until a Dutchman, Huygens, invented the pendulum. (I know Galileo was first but as nobody took any notice, his contribution was zero.) The British then took over and invented much of what we still see in clocks today. The main problem was they cost an absolute fortune so only the rich could afford them. This was where the Germans took over – producing simpler, much more accurate clocks that ordinary people could afford. The Germans that emigrated to the USA took much of this knowlege with them. (e.g. The Hamburg American Clock Company) Clocks were most often built by gunsmiths but other trades also contributed e.g. locksmiths, carpenters (like John Harrison of Longitude fame) etc. At no time did America lead the way. Some companies such as Seth Thomas, Ansonia etc. were very popular but the USA’s contribution to world timekeeping was and still is roughly zero. Sorry mate but the Germans led after the English until they showed the Japanese some of their techniques (including their invention of the quartz movement) after which the Japanese took the lead. The Swiss also often claim to have led the way with wrist watches but their contribution too has been practically zero. There is a tourist route through the South of Germany which may be of interest to some. I personally have been making and repairing clocks and watches as a hobby for over 40 years now and have seen a lot of interesting pieces but one of the best yet is still being built. Have a look on You Tube under http://www.youtube.com/watch?v=Tb5GskdbQds. Impressive video, admiring your handy work. So glad I found this. My grandfather was a watchmaker and when he died I claimed all of his watchmaking tools and supplies. He stopped working as a watchmaker/jeweler in the early ’60’s, but kept everything, perhaps hoping to return to what he loved later in life. My original intention was to use the various bits and pieces for art projects, but now that I’m going through and seeing just what’s here, I might actually try my hand at repairing some of the many, many broken watches he collected over the years. Now I just need to organize things and figure out what many of the tools are and how to use them. Page 38 (33 per marking) of that Army field service manual REALLY shows how much they do the thinking for a young serviceman. “Here is a chair, you sit in it as part of the servicing process”. I have a omega Cali 620 just stopped working today, can I bring it here? I just stumbled across this post, nice work! I find there’s more and more interest in classic timepieces. I get questions about everyday. Watchmaking is not rocket science, but it is much more involved that many think. I second the comment about not just tearing into you family heirloom, that’s a big mistake. I can’t stress that enough. Get a few books on the subject, get the right tools, and take it slowly. This was a great post.Thanks for linking that TM9. I never knew there was one for something as delicate as this, I only ever used the ones for vehicles or electronic stuff. I have added it to my small but growing textual repository. I spent almost 30 years as a computer programmer and systems analyst and am currently unemployed. I’ve always been fascinated by the mechanical complexity and beauty of old pocket watches. All my life I have been taking things apart and fixing them, as well as building all kinds of things including my own airplane. I was wondering if it is possible for the end of the pallet that attaches to the balance wheel to fall off some how as the ballance wheel runs smoothly but nothing els moves when it does and you can move the pallets and the escape wheel but it only wobbles the ballance wheel very slightly? I would be very greatful i should could give me some info. A Rolex to me isn’t more durable than a $2.00 watch, and even so, I’d rather have a $2.00 watch break on me, than an expensive Rolex. My old 1970 Timex is still ticking beside me, and FAR outlasted it’s worth. Also what is a Rolex or Patek Philippe watch owner want to be on this site for anyway? They don’t want the skills or know how to fix a watch themselves, they’re only about showing off how much money they have and wouldn’t want to do any kind of manual labor for themselves. I bought one watch in 1962. It was a Rolex Submariner. It cost me NEW $176. It is now worth $20,000.00 Great Investment. Few Stocks and no Property can match this. Forget about time accuracy. I have never wasted any money on a second watch since them and the Rolex has gone in for cleaning twice and repairs—————-NEVER.